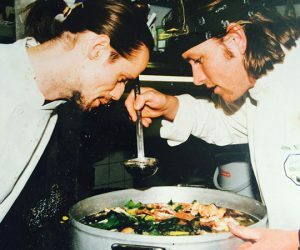 Explore the life of James Martin on our interactive timeline from his birth in 1972 in North Yorkshire, to his latest awards, tours, restaurants and shows. Born in Malton, North Yorkshire. Starts formal catering training at Scarborough Technical College. Student of the Year for three years running. Moved to London to work at One Ninety Queen’s Gate, Alastair Little in Soho, The Square in Mayfair and Harvey’s in Wandsworth. Takes up position as junior pastry chef at the acclaimed Chewton Glen. Begins TV career on Sky One before moving on to Ready, Steady Cook and The Big Breakfast. Reaches the semi-ﬁnals of Strictly Come Dancing and is announced as the host of BBC One’s Saturday Kitchen. 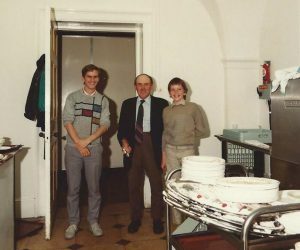 After catering college James worked in London under the guidance of chefs including Antony Worrall Thompson and Marco Pierre White. He also travelled around France working in chateaux kitchens and gaining experience in Michelin star establishments. On returning to England, he took up the position of junior pastry chef at the acclaimed, five Red Star, Chewton Glen. 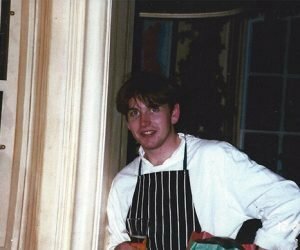 Just a few weeks short of his 22nd birthday, James opened the Hotel and Bistro du Vin in Winchester as head chef. 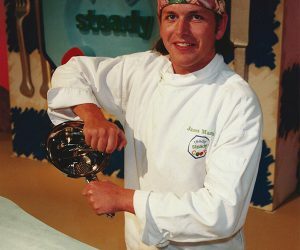 James’ TV career began in 1996 with The Big Breakfast and Ready, Steady, Cook. 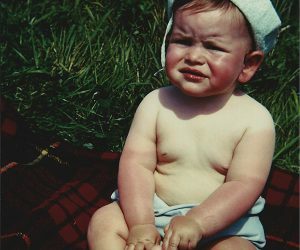 Over the next ten years he went on to film shows including Entertaining with James and Housecall. In 2006, he became the presenter of the BBC One show Saturday Kitchen. He presented the show up until March 2016, making it a Saturday morning staple which regularly attracted viewers in excess of 3.5 million. 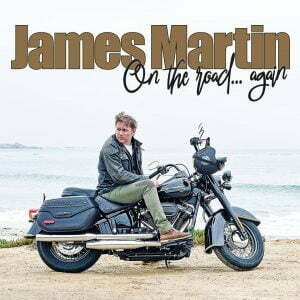 Recently James has been on screen for ITV touring the UK for James Martin’s Great British Adventure, America for James Martin’s American Adventure and France in Keith Floyd’s car for James Martin’s French Adventure. 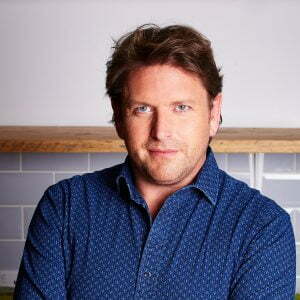 James Martin’s Saturday Morning is shown every Saturday at 9.30am on ITV and STV. James has published 20 best-selling cook books packed with sweet and savoury inspiration and an autobiography, Driven. 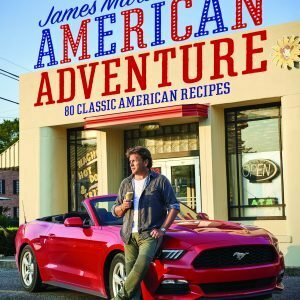 Recent titles include Fast Cooking: Really Exciting Recipes in 20 Minutes, Home Comforts, Sweet, More Home Comforts, James Martin’s French Adventure, James Martin’s American Adventure and James Martin’s Great British Adventure. James also writes for The Daily Mail’s Weekend Magazine. 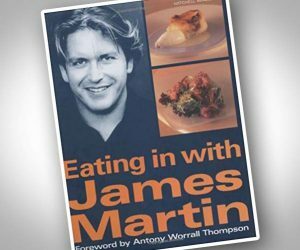 In 2013 James Martin Manchester opened, housed within the Manchester235 casino at the Great Northern Warehouse. Providing modern British cuisine in industrial chic surroundings it was listed in The Sunday Times Top 100 UK Restaurants for 2015/16. 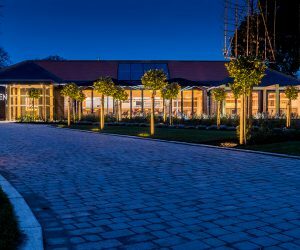 In 2017 The Kitchen Cookery School and restaurant opened at the acclaimed Chewton Glen. Offering a range of inspiring classes and stunning seasonal menus it’s the place to eat, meet, create and cook. James’ premium café, James Martin Kitchen, offers sit down dining and grab and go options and can be found airside at Stansted Airport, inside Debenhams at intu Lakeside, Manchester Piccadilly train station and at Glasgow Airport. 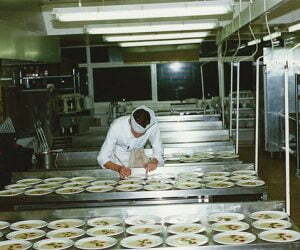 James consults for Thomas Cook airlines, developing and testing their menus for the three million in-flight meals they serve each year. He is also Executive Chef for Virgin Trains East Coast, designing and developing their First-Class menus. James endorses a range of kitchen appliances with Wahl, cookware, knives, bakeware and kitchen utensils with Stellar, the HeaT collection for Chesney’s and has large collection of stylish and modern tableware with Denby Pottery. Outside of the kitchen James is a massive dog lover and owns two dogs, Ralph and Cooper. He is currently training Cooper as a full working dog. His beloved first dog Fudge, often seen on screen, died in 2015. He has a passion for cars, bikes, racing and planes. He raced in the Mille Miglia in 2007 and again in 2015 as part of the Jaguar team. He also holds a pilot’s licence and is currently learning to fly helicopters. 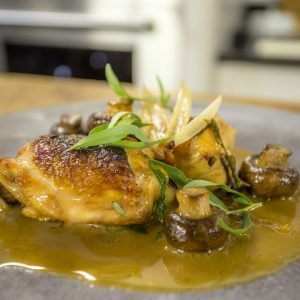 Discover the latest recipes, TV shows news, events and from James.